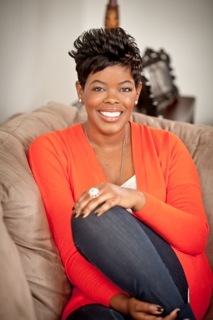 Tina Wells founded Buzz Marketing Group when she was only sixteen years old. Today, Tina continues to run her company and lives outside of Philadelphia. Tina says, “Mackenzie’s crew reminds me now of my own group of friends! And like Mackenzie, I had big dreams and worked hard to make them come true. What was it like writing the Mackenzie Blue series? It has been – and continues to be – an amazing experience. Writing has been one of my passions for as long as I remember, so I was blessed to discover Mackenzie Blue and be able to write about her for so many years. As most people know, I started out my career as a writer when I was 16 and then in college, I pursued a degree in Journalism. When I started writing about Zee, I learned that writing these books takes a lot of patience, persistence, and positivity! As a result, I made sure to surround myself with people who are really supportive. And to be completely honest, writing a book is exhausting! You put so much of yourself into the story and the characters. You also become a little sensitive, because you know that there are a lot of people reading something of yours that is a tad bit personal. Throughout the process, the book really becomes a part of you. 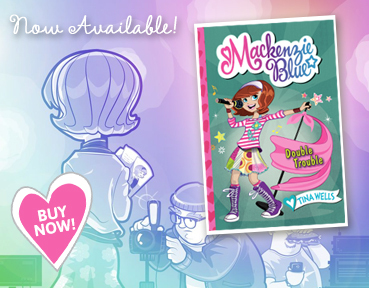 So tell us about Mackenzie Blue. Mackenzie has been apart of my life for a few years now. I swear she’s a real person! While I write and edit these chapters, I find myself having conversations with Zee to figure out what she would think and do in a particular situation. Weird, right? But seriously, Zee is just a normal 12 year-old girl who is trying to figure out who she is, who her friends are, and how she’ll make it through middle school. She’s discovering who she is and what she likes. She’s clever, fun, and just an all-around good person. Is there a part of you in Zee? It’s funny, actually. Whenever someone asked me this at the beginning of the writing process, I’d say no. But after reading and rereading all the books and just finishing up the fifth one, I have realized that Zee is more like me than I had initially thought. Like Zee, I always had a crush on a boy in middle school and I also went to a private school when I was younger. And, at the end of the day, I always like to think that I have made the right decisions in my life, even when it was hard. I also love my friends and I’m very close with my family. So yes, I do think there’s a part of me in Zee. When you were Zee’s age, what did you like to read? Let me first say that I always had a book in my hands when I was growing up. My faves were all of the R.L. Stein mystery books and I also loved every teen girl series you could think of. When I was in middle school, I would read a book a day in the summer. I lived for summers at the library! What was your style like back in middle school? At the time I thought I was pretty hip, but I’ve now realized I was a fashion disaster!! When I was around Zee’s age, I got my first training bra, which was an adventure for sure. I liked to wear a lot of girlie dresses, tights, and flats. That was my look. And for some reason, I wore tons of pink. What did you do for fun back then? I spent a lot of my weekends with my best friend Missy (and we are still best friends!). We would either have sleepovers at my house or hers. We’d go to the supermarket and buy tons of snacks, rent movies, and watch repeats of Saved by the Bell. We would sneak and read Missy’s older sister’s teen magazines and sometimes even try out beauty products. We didn’t have the Internet or IM at that point, so we spent a lot of time on three-way calls with our other friends. We would usually round out the weekend with a trip to the mall or movies too. Can you tell us one of your most embarrassing moments? Oh goodness! I have so many! I think this is where I’m just like Mackenzie. You know it’s like tripping over your own two feet, wearing a not-so-cute outfit, and having your crush not like you back. I also became really good at tripping UP the stairs! I was good at laughing it off, though. And while I played all sports, I was only really good at field hockey. So every moment I was on the basketball court was an embarrassing moment. My first season, I scored a whopping NINE points. Yes. Just nine. In an entire season. ‘Nuff said. Finally, what’s next for Zee? Oh I can’t wait for you to see the adventures to come! I know that Mackenzie already has five books out but she has a lot more growing up to do. Of course, I don’t want to give too much away, but I promise that there will definitely be some more LOL moments! You can expect new friends, big surprises, and lots of fun. Mackenzie’s world really is your world, so I hope that you do see some of yourself in her. I hope that you take time to go on your own adventures and think about what your big dreams are. And remember that all dreams can definitely come true! I’m living proof of that!